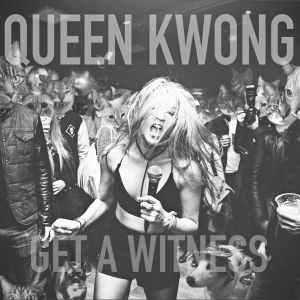 In news somewhat related to The Icarus Line, Queen Kwong’s debut (Get a Witness) which features the co-writing / co-playing / producing duties of Joe Cardamone, has been getting pretty good reviews across the web. OneMetal gave it 3/5, Stereoboard gave it 3.5/5, Already Heard gave it 4/5, SoundSphere Magazine gave it 4/5, whilst The 1st Five stated that “Queen Kwong’s Get A Witness is what you’d expect and want from a musician and band that is not afraid to experiment and play to different styles of music. This album is harsh, confrontational, noisy, dreamy, calming and jarring. It’s doing exactly what great music should do: stir you down to the core and depths of your heart and leave you a shallow husk of mixed emotions begging for more”. In case you’re reading this in the UK, the band play at Reading Festival today, and will also be playing in London at Brixton Academy on August 27 as well as Old Blue Last on August 31.